Moving to a new city can be an experience that’s both exciting and a little uncomfortable, especially for seniors. If you’ve recently moved to a senior living community, you may have had to leave a familiar area behind for an unfamiliar place. 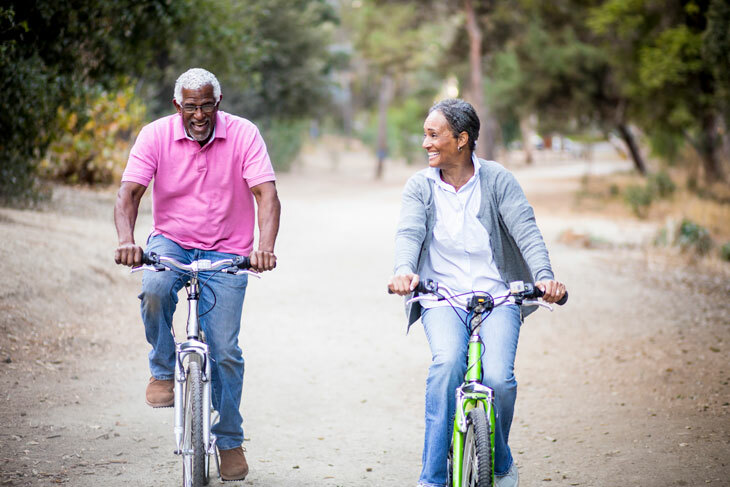 Finding new ways to navigate your surroundings can be a challenge, but if you have moved to an area like Allentown, PA, you can find a number of senior-friendly travel options. Once all your boxes are unpacked, your photos are hung on the wall, and your new space feels like home, it’s time to explore all that Allentown has to offer. If you’re an adventurous senior, Allentown is a great place for you. Check out the six best options for senior-friendly travel in Allentown, PA. 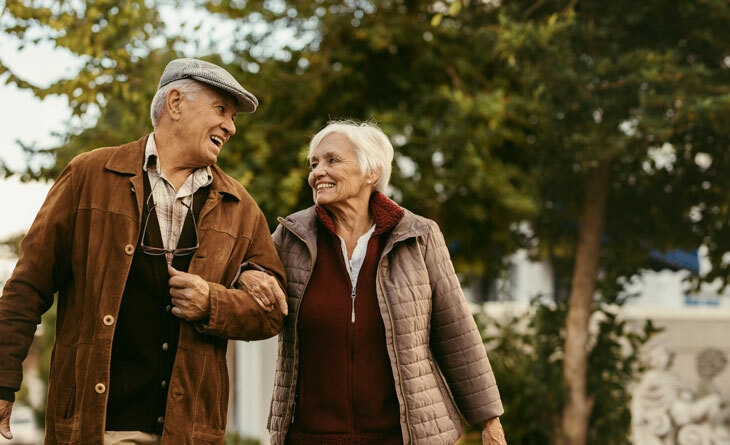 Walking is one of the best senior-friendly travel options in Allentown, PA. Fortunately, Allentown has a beautiful and walkable downtown Hamilton District. You can easily tour downtown on foot, visiting historic buildings, shops, restaurants, and other landmarks. This is perfect for family outings or just enjoying nice weather and your new hometown. You can also visit local parks or walking trails if you want a relaxing walk. Walking is an easy, low-impact way for seniors to stay active. This makes it the perfect option for seniors who want to get out of the house or for pet owners who want to treat their furry friend to a pleasant walk. Biking is another option for traveling around Allentown. If you’re an active senior who loves the outdoors, the Lehigh Valley offers numerous trails for walking, running, and of course, biking. Because this area has beautiful spring and autumn seasons, a leisurely bike ride on the Nor-Bath Trail or the Ironton Rail Trail is the perfect way to experience the pleasant weather and all nature has to offer. You can take in the sensational scenery of the Lehigh Valley while getting some great exercise, as well. 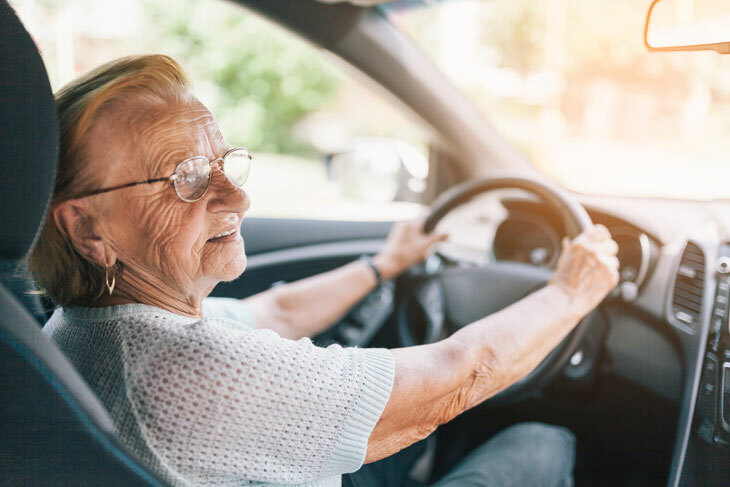 If you’re still comfortable driving, or you have a friend or family member who is available to drive you, you’ll be happy to know that driving is a great option for senior-friendly travel in Allentown, PA. With plenty of close parking at most destinations, Allentown is a city that’s easy to navigate. Taking a taxi, Uber, or other rideshare option is another transportation possibility for seniors. Getting to your final destination is easy, while avoiding the hassle of traffic. Speaking of cars, you can also visit Allentown’s America on Wheels Museum. This museum is dedicated to all forms of wheeled transportation, from classic cars to race cars and more. When your children or grandchildren come to visit you in Allentown, be sure to add this to the list of places to visit. Allentown offers public transportation bus routes, making it convenient and affordable for anyone to get around town, especially seniors. This option for senior-friendly travel in Allentown, PA, has dozens of stops for riders, making it convenient for pick up and drop off. Greyhound buses are also a senior-friendly travel option in Allentown, PA. These bus trips are affordable, can take you almost anywhere in the country, and you can catch one conveniently right here in Allentown. Popular bus destinations from Allentown include New York City and Philadelphia. In addition to public transportation bus services, seniors also have the option of taking the LANtaVan. This is a door-to-door ride service for seniors and those with physical disabilities. In fact, seniors 65 and older can ride for only 15% of the actual fare. This is a great amenity for seniors and those with mobility challenges in the city. Allentown is a just convenient train ride away from so many exciting destinations, including Philadelphia, New York City, or even the Jersey Shore. Taking the train is both affordable and convenient, allowing you to arrive at some of the nation’s most exciting attractions in a matter of hours without having to worry about driving yourself. Allentown’s Amtrak trains leave from the bus terminal at 325 Hamilton Street. Trips from Allentown to New York City are particularly easy for seniors. You simply get on the train in Allentown and arrive directly in New York's Pennsylvania Station. There’s no need to change trains or navigate other stops. Just bring a book and relax as you are carried away to your destination. Allentown is a prime location if you want to do some traveling outside the city, state, or even country. 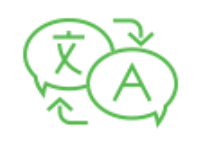 You can easily access Lehigh Valley International Airport or Philadelphia International Airport. Many seniors use their retirement as a season for travel and adventure. With two airports in close proximity to Allentown, you can easily travel to visit friends, family, or new destinations. Plus, you can even take public transportation to Philadelphia International Airport, eliminating the need to drive, fight traffic, or pay for parking. As an additional note, if you are looking for or have already chosen a senior living community in Allentown, there’s a good chance some transportation is provided. 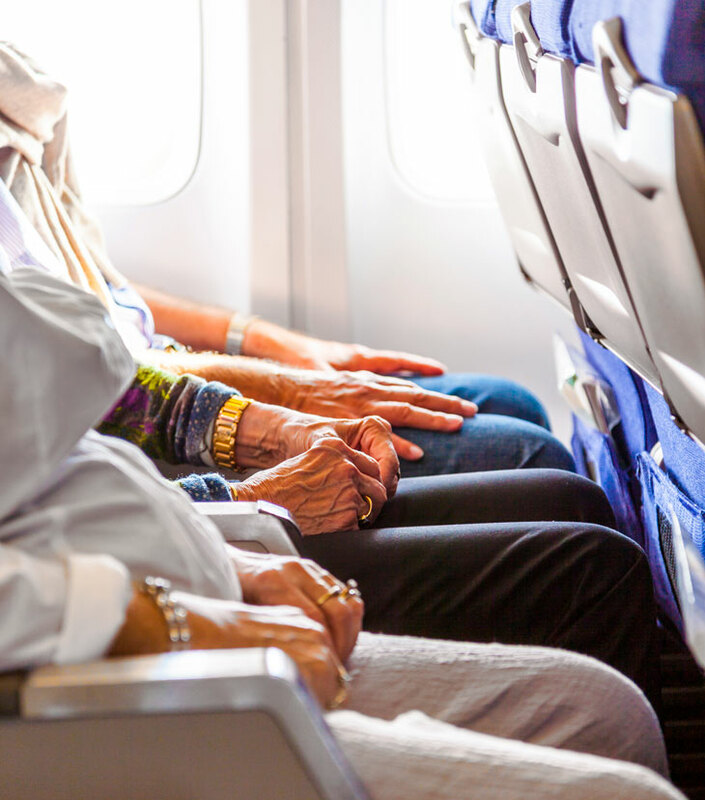 With Presbyterian Senior Living communities, for example, transportation accommodations can be made for seniors traveling to and from doctor appointments and other locations. 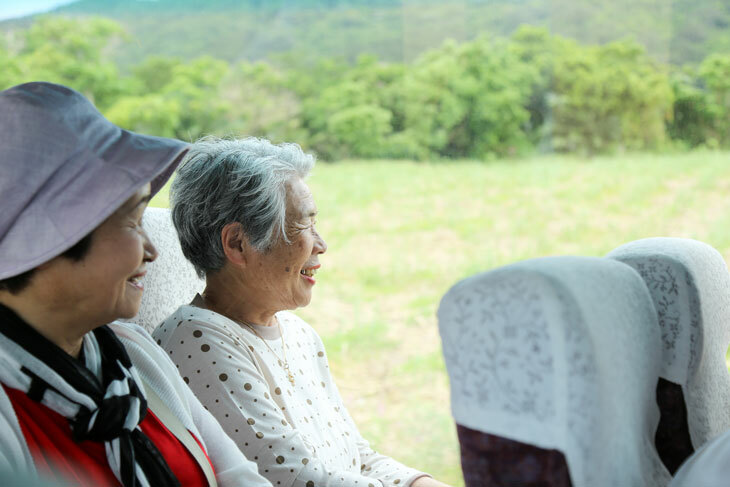 As an additional perk, many assisted living communities coordinate outings for seniors to local events or attractions, and transportation is provided in these cases, as well. If you have recently moved to the Allentown area, or you’re considering a move soon, test out the different transportation options the city has to offer. No matter what form of senior-friendly travel in Allentown, PA you choose, the town definitely provides plenty of choices, making it a great place for seniors to live. Whether your destination is somewhere in the surrounding area or just a staple Allentown spot down the street, you’ll find a lot to do in this senior-friendly area. Are you ready to explore your options for senior-friendly travel in Allentown, PA? Schedule a visit to Westminster Village now. As the Digital Content Assistant at Presbyterian Senior Living, Emily produces content for the PSL blog and engages with our audience on social media. Emily is a Shippensburg University and Delta Zeta alumna from Bedford County, Pennsylvania.